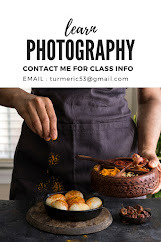 Neel from Learn food Photography hosted a free food photography work shop sometime in September, like last year I took the plunge. I met some amazing photographers and made some good friends, after all it was 30 days of working together and lots of inspiration and interaction. There are about 500 plus members in this group and somehow you end up ‘connecting’ with some people. I met Krystallia through this workshop and by met, I mean, met online. We seem to like similar images,…I don’t know what it was, but we became friends. Krys asked me to do a guest post on her blog ‘My Cooking Secrets’ , we started brainstorming about ideas, The time difference of eight hours did not come in our way, we were chatting till midnight. I asked her to tell me a little about herself, other than photography,…. “My favorite moto is ‘’DO NOT WASTE FOOD, there is always a way to CREATE a dish from scratch’’. Seriously it was like my mom talking, I grew up on that….wasting food was unheard of and you eat what you get. I knew why we had become friends, we talked about a lot of things about Greek food, about real food, local foods and why we both started blogging, she said, “I didn' t set out to be a food photographer, let alone a blogger. I was previously an executive secretary and account assistant. When I got married and moved to Malta I focused on what I loved most. 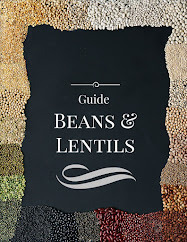 To create recipes, promote the Greek cuisine and inspire people to cook. My blog was the perfect way to combine my creative interests, yet it made me feel incredibly happy, so I ran with it.” Two women thousands of miles apart, who have never seen each other ( Krys, better put up a profile picture on FB), yet had so much in common. At the end of the day we are all the same under the skin and we relate to similar emotions. Krys is so passionate about her food, it percolates to her blog. Her enthusiasm and passion is surely contagious. Thanks so much Krys for your friendship and all the energy you bring to the blogging world. Krys had a few questions…over to her to read the informal chat. 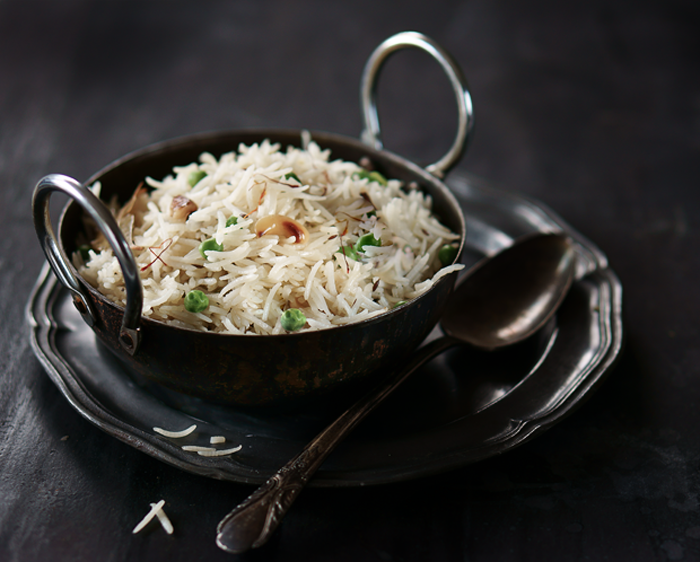 I grew up on basmati rice, we lived in Dehradun for a considerable amount of time and my mother bought her rice directly from farmers, it was usually kept away for a year or two to age ( just like wine). She had year tags on the huge tin boxes where she store it. I would often see her ( even now) rub the rice between her palms and sniff. The grains were long and fragrant and grew longer as they cooked. Some years the rice would be so fragrant and long that it would not be used everyday and would be kept away to be used on special occasions. We had strict instructions, no wet hands in to the tin box, don’t keep it open for too long and soak the rice before you cook it. Rice was always bought once a year during harvest and kept away, the rice from previous years would be used. Even now she will never buy a branded bag of rice :) that is reserved for lesser mortals like me who have no other choice. 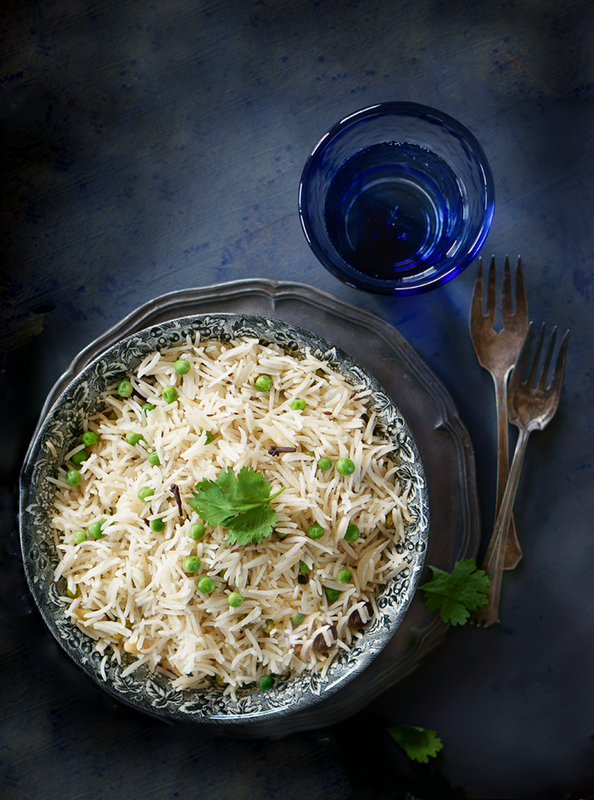 Basmati means queen of fragrance and to me there is nothing better, grown at the foothills of the Himalayas, it has a magical taste. Soak the rice for 30-45 min in tepid water. Add ghee to a non stick pot, heat after it melts add cumin let it splatter, now add all the other spices and raisin and cashew nuts and roast. Add the onions, green chilies and salt and roast till transparent and NOT brown, we do not want it to caramelize. 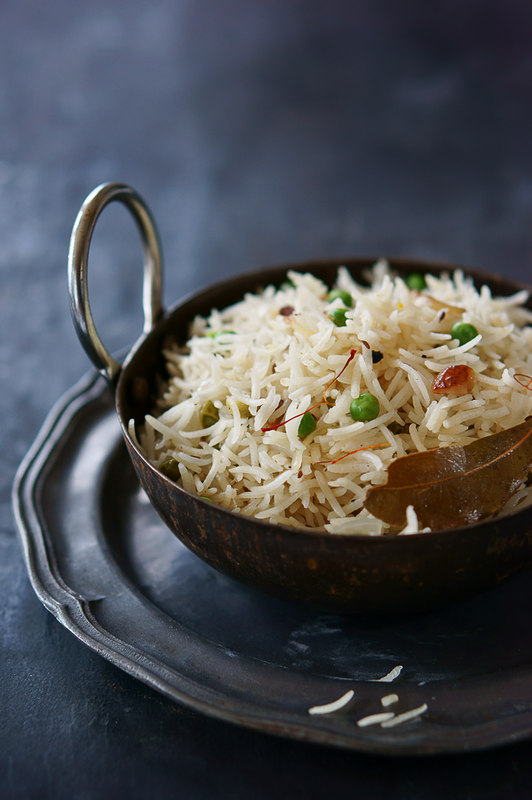 Drain the water from the rice and add the rice to the ghee and roast for a min or two, add water and bring to a boil, now lower the flame to medium-low, add 1 tbsp lemon juice and close the lid. Keep checking, to see the water has evaporated, every rice is different, even from the same brand, in a different pack it could be different and some rice might need more water, so add a little bit at a time ( 2 tbsp) if u feel the rice needs water and is burning. Keep lid closed do not stir, as it will break the extra long grain, when you are ready to serve stir with a very delicate hand, with a dollop of ghee. Why didn’t we caramelize the onion : If you want pure white rice, and not a mild roasted color, but if u prefer the color a bit brownish, go ahead and caramelize your onions you can add 1 tsp of sugar too, to give a deep caramelized color. Why lemon ? : the acid in lemon is dual purpose, keeps the rice white and also keeps it from sticking, nice and grainy, the way basmati should be. oh i love this post. Beautiful story behind the pilaf. As always Simi, your photos are breathtaking. A delicious anf fluffy looking pilaf. I adore that kind of dish. Thank you for your friendship and kind words, it will be a pleasure to enhace this ''creative team'' in the future. Sincere best wishes for continued food blogging success! 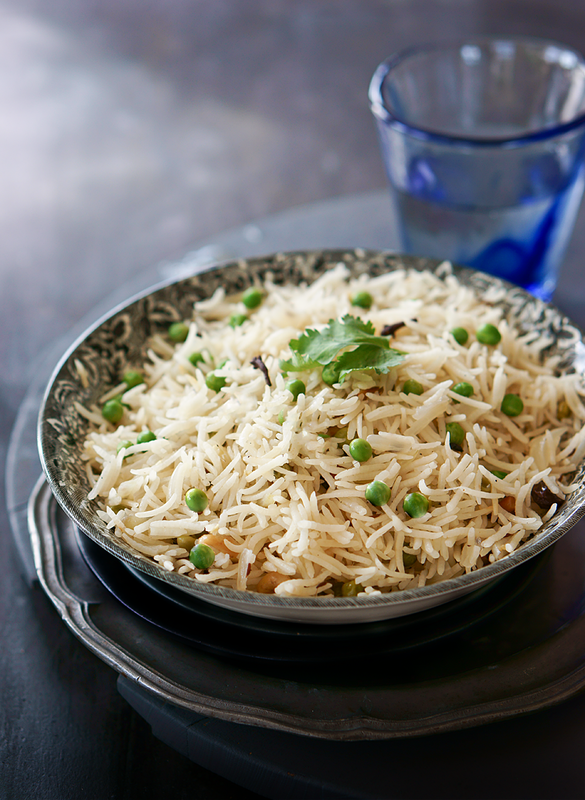 The pilaf looks terrific,tasty and tempting ! Cannot remember the last time that I made a pilaf! Definitely need to make one soon.. and I will be using your recipe. Thanks for sharing it! Fascinating. Your connection to another blogger because of food and the instructions about the rice box---rice bought once a year. I didn't know Basmati grew longer as it cooked---on and on. Obviously I enjoyed your posting. Carol have you had basmati ? 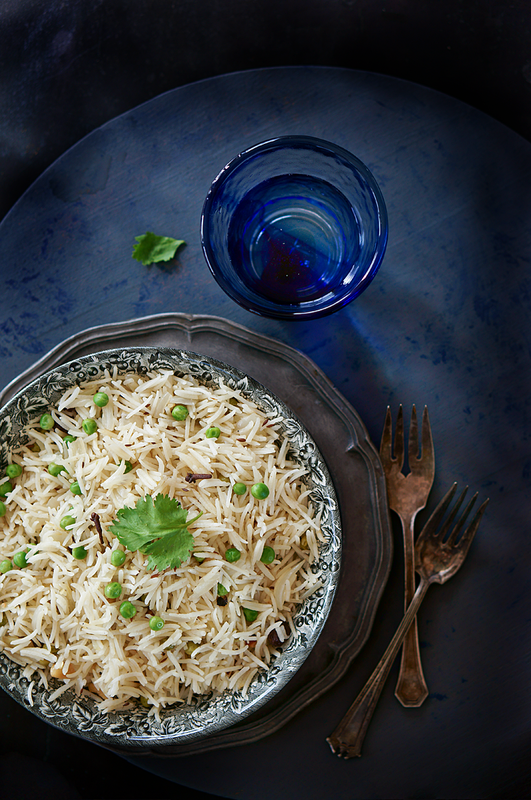 I love the photo and I love the pilaf! 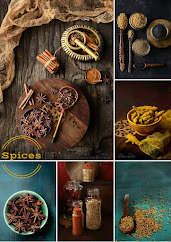 A lovely side dish and wonderful clicks as well, Simi. Wow Awesome pictures and I am so touched with your writeup. Happy for you Simi :) What brand rice is this ?? I have used few from an Indian market nothing is close to this. Would you mind sharing the Brand name ??? Thanks for your reply about your camera. All the above pictures are taken in 50mm lens and with the Sony camera ??? You must do so many Food photography Tutorials Simi. Its breathtaking. Thank you so much for your kind words. The rice brand is India Gate ( classic) brown packaging. Yes all the above image are from Sony Nex and 50 mm lens. This recipe looks delicious. I don't have whole cardamom, only ground cardamom. Will the results be the same? HOw much should I use? THanks! If I only have ground cardamom, how much should I use? THanks! Can't wait to try this.